Having stormed through Asia with its sharp graphics and lightning-quick customer response ethos, Habanero is taking the charge to western Europe in 2018. Head of corporate communications Toni Karapetrov assesses the terrain. iGAMING TIMES: 2017 was a busy year for you guys, what were the main highlights? TONI KARAPETROV: We had an incredibly busy and productive 2017 and we have really moved forward as a business, both internally and externally. We’ve released the most games in our history and our portfolio has diversified massively as a result. Among the highlights have been the Asian themed slots Fa Cai Shen, Koi Gate, and Fenghuang as well as The Dead Escape, Panda Panda, and Rolling Roger. It’s fantastic to report that all have been well-received by the players of our operator partners and aggregators – and long may that continue. On the commercial front, it’s been a similarly positive year with some very good progress with big aggregators and direct operator deals, who have been integrated in record quick time. Companies such as BBIN, Boss Gaming, EscapeBet, iSoftBet, and Digitain are all now on board with us, as we’ve continued our expansion. 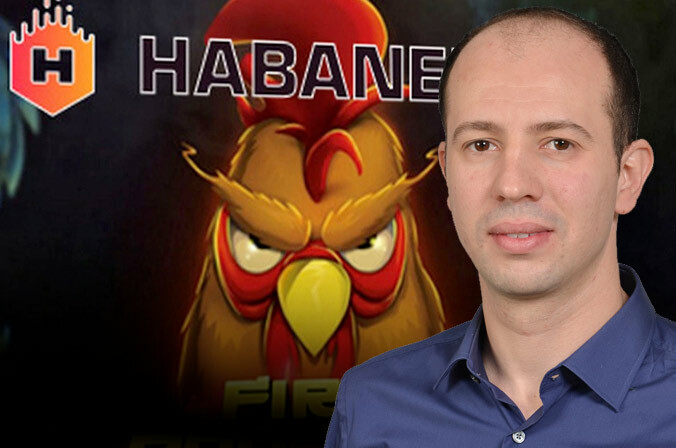 iGT: Habanero has built up a solid reputation as one of Asia’s top games suppliers. How might your experience in the East help you shake up what’s on offer currently in the West? TK: We have never set out to be an Asia-focused supplier as we believe good quality content will be enjoyed by players wherever they are and upon whatever device they choose to play it. Some game themes are better-suited to some markets of course, but the principle remains that good graphics and interesting maths models have universal appeal. That very solid foundation, along with a freshness is what we will bring to the Western audiences in 2018. I think there’s room for different suppliers producing a variety of content as the thirst for new games does not look like it is going be slaked any time soon. iGT: Where do you see the most salient opportunities in Western Europe specifically? TK: We have kicked off a year of targeted commercial expansion in Western Europe by having all 33 games we developed during 2016 and 2017 certified for Italian operators licensed within that jurisdiction. These same games are also certified for the UK, Isle of Man, Malta, and Gibraltar jurisdictions, so we now have tremendous reach. We are excited to be entering a new period of growth and Italy, besides two other European country jurisdictions we have also recently secured, will form our starting point. We have progressed our global reach in recent months and our new head of business development in Europe, Arcangelo Lonoce, based in Rome, has already had plenty of interesting conversations. You will be hearing about some very exciting deals shortly. iGT: What do you consider to be the main challenges for operators in these markets – and what difference can Habanero make? TK: In many respects there are higher regulatory standards, but high standards have always been something we’ve been keen to have already in place anyway. There is probably greater competition from established brands and their major marketing budgets too. But we are very confident that side by side our content will perform equally well. It will take some time for us to establish ourselves and become better-known among operators and we must be patient and realistic. But players are always looking for more and more high-quality games that move the marker, and we think the trick is to have games that are proven to last the course, rather than ones that boom when they are released but fizzle out soon after. 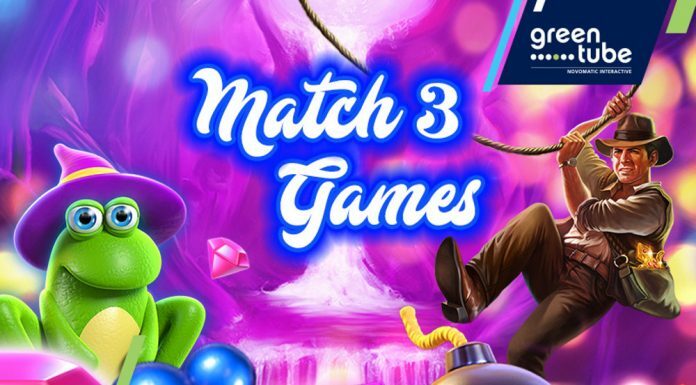 iGT: Habanero games stand out for graphics and themes, but you also champion yourselves on client responsiveness. How does your customer service set you apart from other providers in Europe? TK: We pride ourselves in putting our customers at the forefront of our thinking and maintaining a positive and healthy relationship with them is paramount. There is nothing more frustrating with doing a deal with a supplier and things taking an age to get off the drawing board and into your online casino. We’ve avoided that at all costs. In fact, our partners tell us we have the quickest development pipelines around and we always deliver consistently. If we can keep producing material that their players enjoy, as well as generating good revenues for them, then we are on the right path – and this can only be positive for the future.